Jane G. Landers. 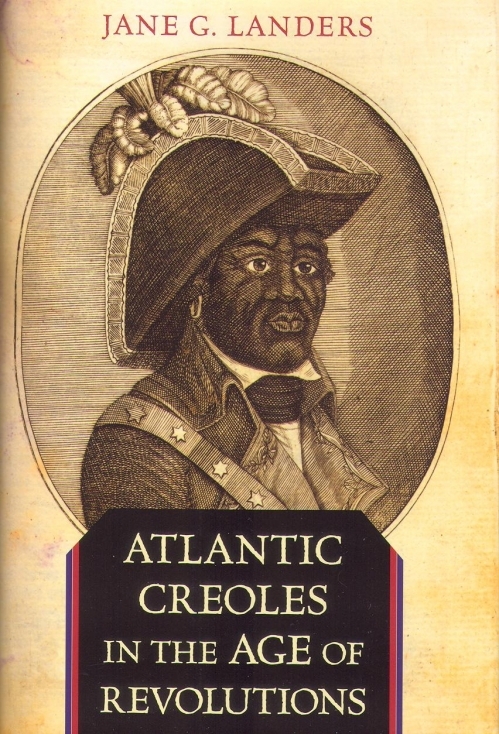 Atlantic Creoles in the Age of Revolutions. Reprint. Harvard University Press, 2011. Sailing the tide of a tumultuous era of Atlantic revolutions, a remarkable group of African-born and African-descended individuals transformed themselves from slaves into active agents of their lives and times. Big Prince Whitten, the black Seminole Abraham, and General Georges Biassou were “Atlantic creoles,” Africans who found their way to freedom by actively engaging in the most important political events of their day. These men and women of diverse ethnic backgrounds, who were fluent in multiple languages and familiar with African, American, and European cultures, migrated across the new world’s imperial boundaries in search of freedom and a safe haven. Yet, until now, their extraordinary lives and exploits have been hidden from posterity. Through prodigious archival research, Jane Landers radically alters our vision of the breadth and extent of the Age of Revolution, and our understanding of its actors. Whereas Africans in the Atlantic world are traditionally seen as destined for the slave market and plantation labor, Landers reconstructs the lives of unique individuals who managed to move purposefully through French, Spanish, and English colonies, and through Indian territory, in the unstable century between 1750 and 1850. Mobile and adaptive, they shifted allegiances and identities depending on which political leader or program offered the greatest possibility for freedom. Whether fighting for the King of Kongo, England, France, or Spain, or for the Muskogee and Seminole chiefs, their thirst for freedom helped to shape the course of the Atlantic revolutions and to enrich the history of revolutionary lives in all times.